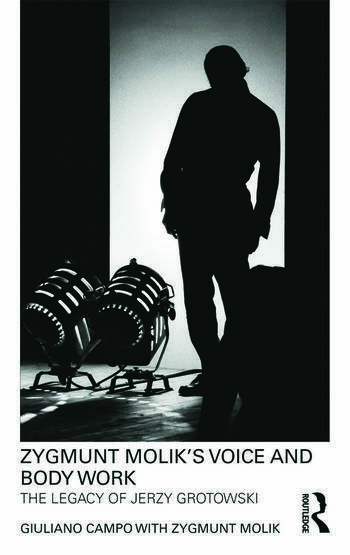 One of the original members of Jerzy Grotowski’s acting company, Zygmunt Molik’s Voice and Body Work explores the unique development of voice and body exercises throughout his career in actor training. This book, constructed from conversations between Molik and author Giuliano Campo, provides a fascinating insight into the methodology of this practitioner and teacher, and focuses on his ‘Body Alphabet’ system for actors, allowing them to combine both voice and body in their preparatory process. The book is accompanied by a DVD containing the films Dyrygent (2006), which illustrates Molik’s working methods, Acting Therapy (1976), exploring his role in the Theatre of Participation, and Zygmunt Molik's Body Alphabet (2009). It also includes an extensive photo gallery documenting Zygmunt Molik’s life and work. IMAGES OF THE "BODY ALPHABET"